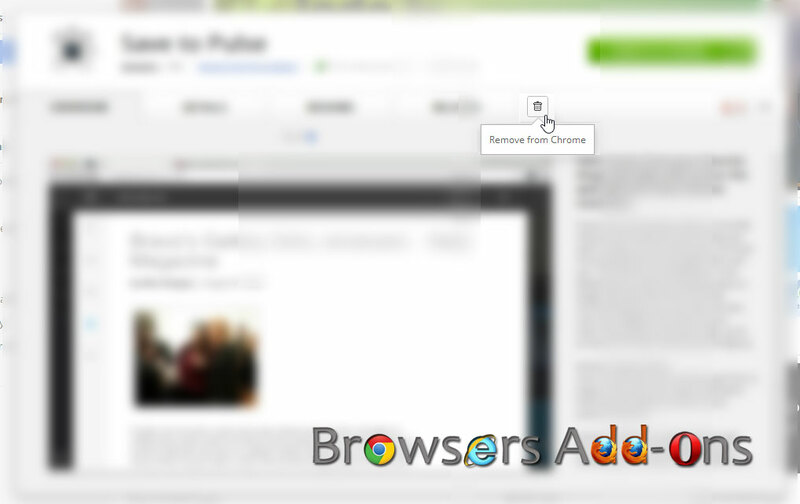 'Save to Pluse' extension for Chrome lets you save and read articles later with Beautiful UI. You might be familiar with Pulse app. If not, Pulse is a mobile app which lets you organize and read article from the genre you desire, with its beautiful User Interface (UI). 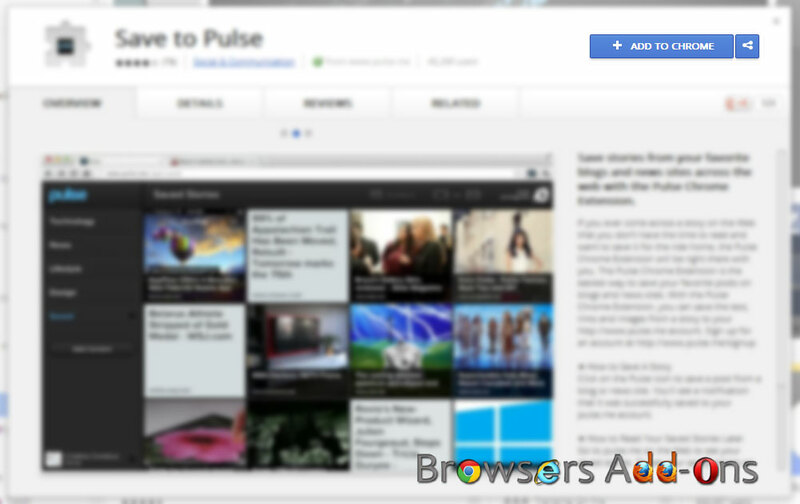 “Save to Pulse” is an extension for Chrome developed by pulse.me. This extension lets you save the article which is loaded on your browser and helps you to read it later with its beautiful UI on your Mobile app or on the browser itself. 1. 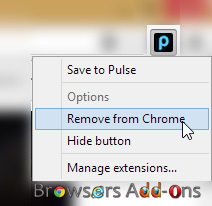 Go to Chrome web store an search for Save to Pulse, or simple click on the above download link and click on “ADD TO CHROME“. 3. 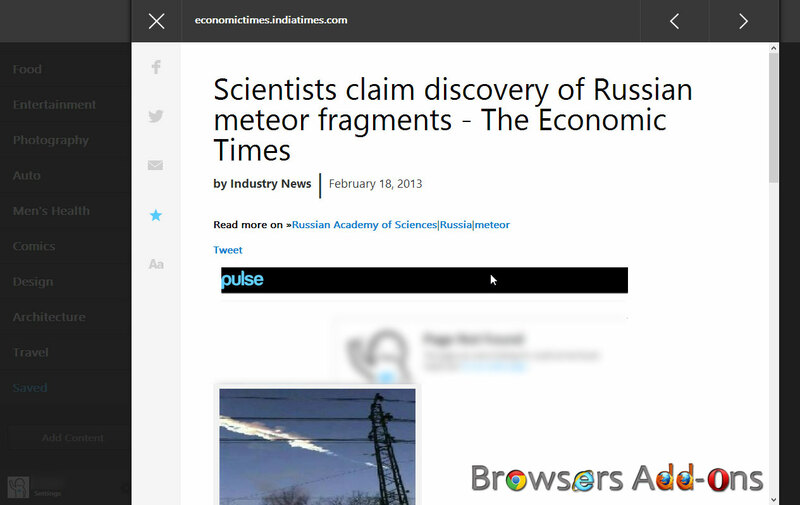 Pulse icon with message pop up appears at upper right corner of browser, indicating that the extension has successfully integrated with the Chrome. 1. 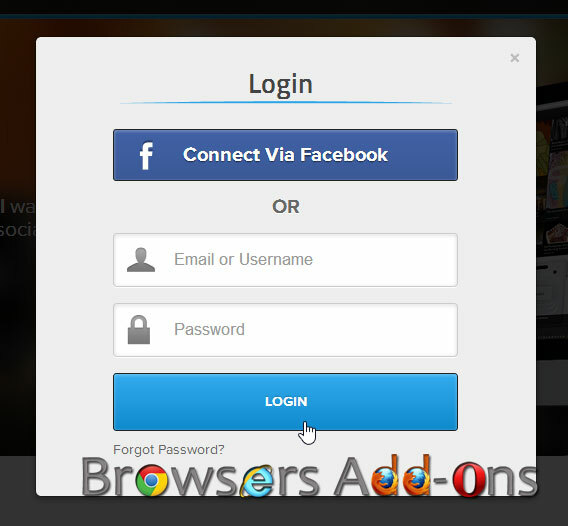 Since you using “Save to Pulse” for first time, you are asked to sign-in. 2. Click on the pulse icon located on top right corner of the browser when you want to save the article which you were reading. On successful saving, you are notified. 3. You can view the saved article under “Saved” column, which is at last. 4. You can delete or remove the article by simply clicking on the “Star” icon. 2. 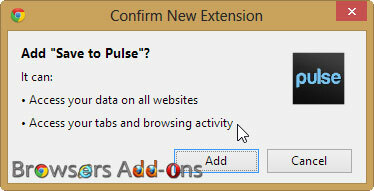 Now, un-tick the Save to Pulse to temporarily disable the extension. 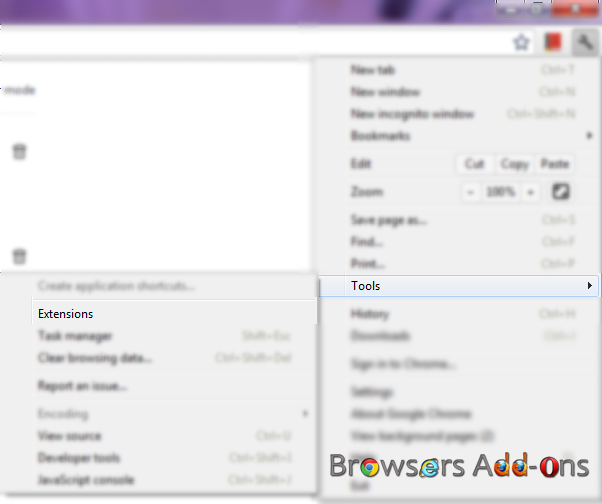 Click on the dustbin icon to remove the extension from Google Chrome. Next story Free Digital Magazine Subscription Giveaway – Courtesy of Zinio. Previous story Opera buys Skyfire, a popular Mobile based browser for deep mobile penetration and monetization.